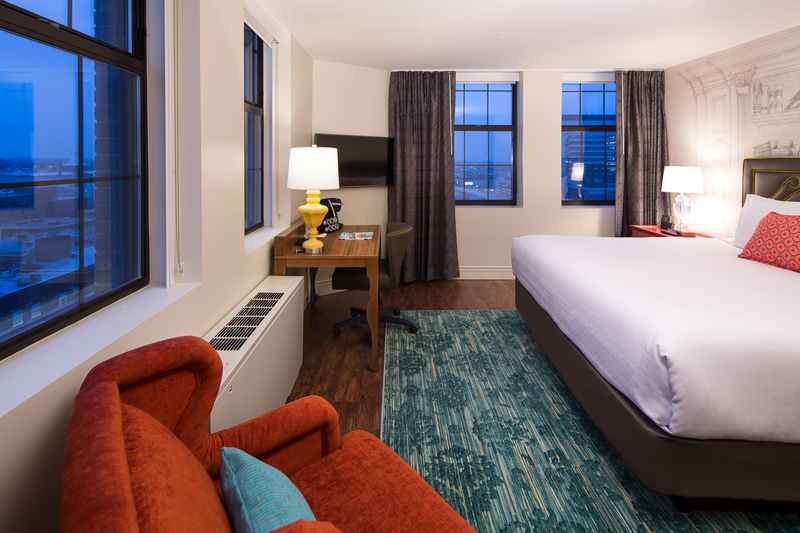 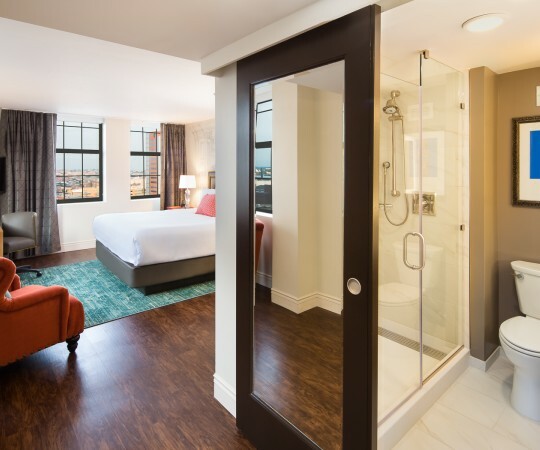 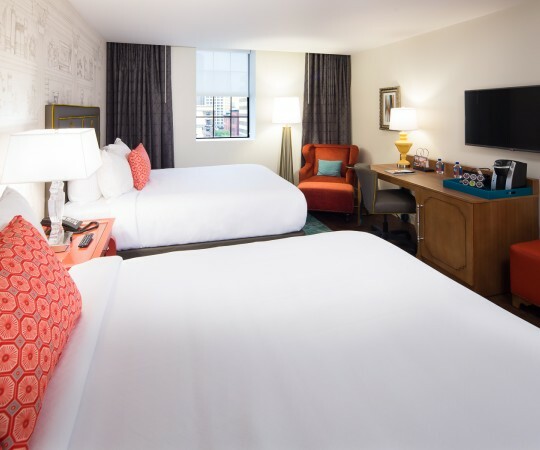 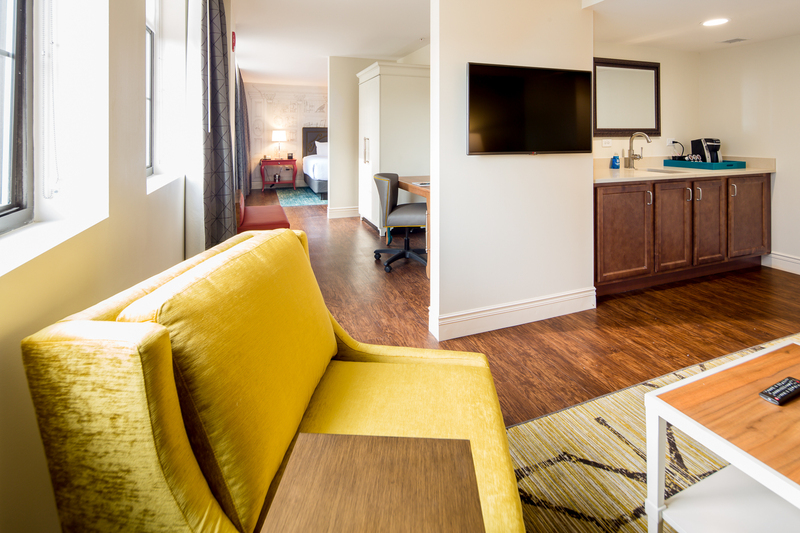 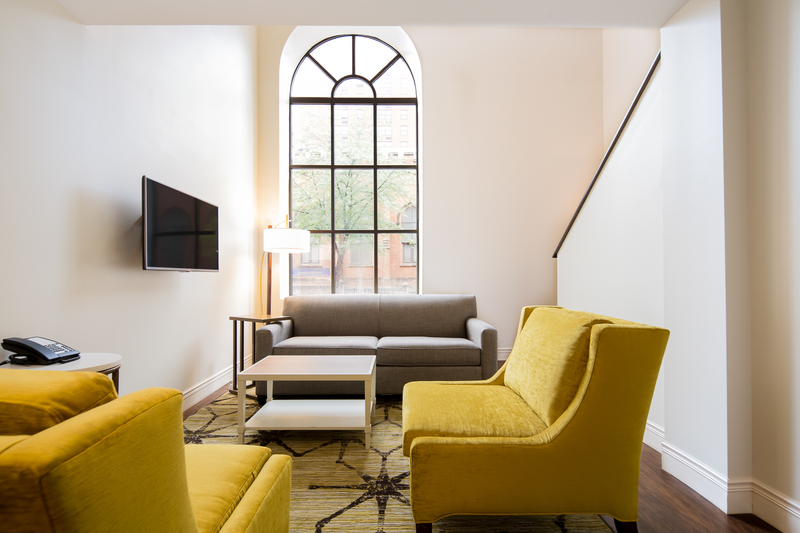 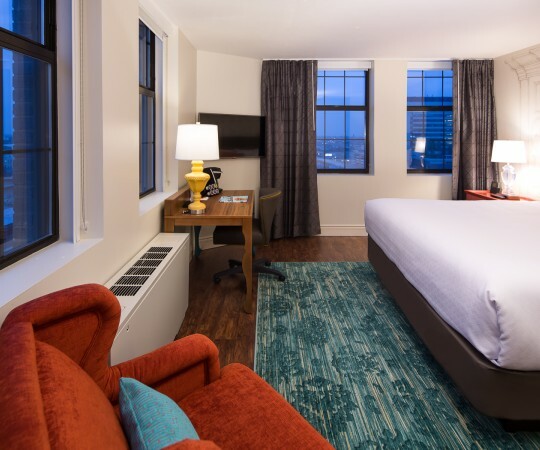 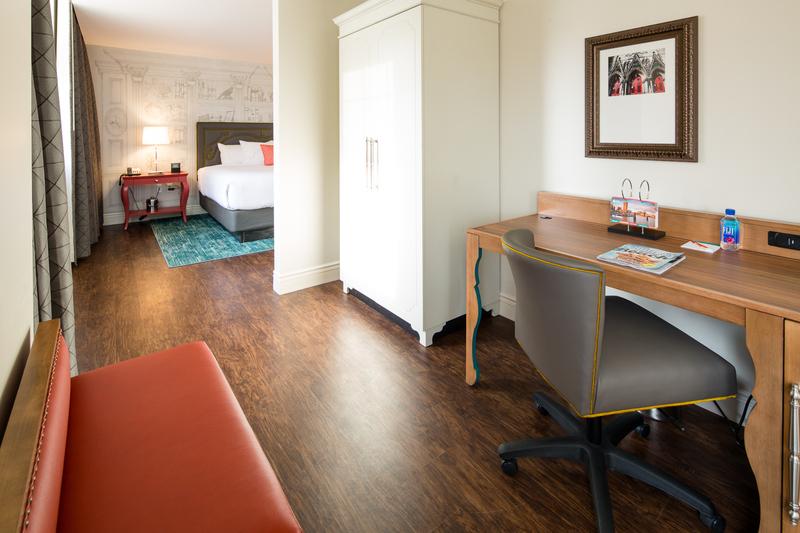 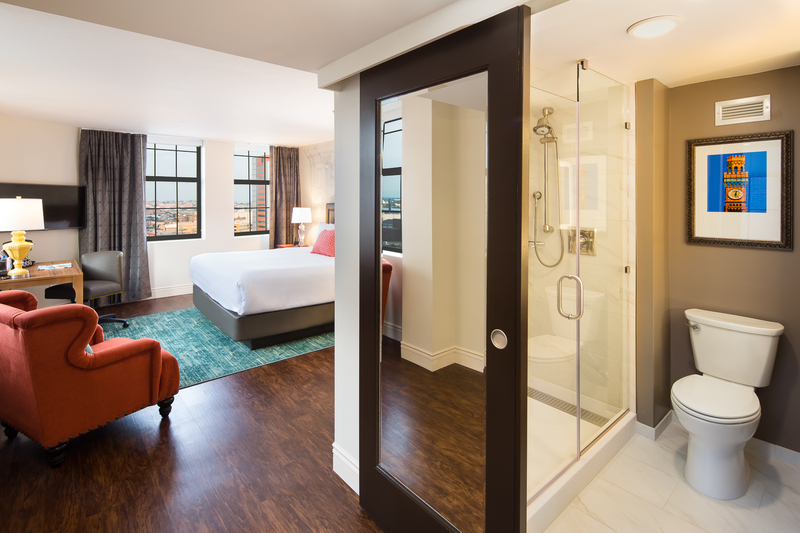 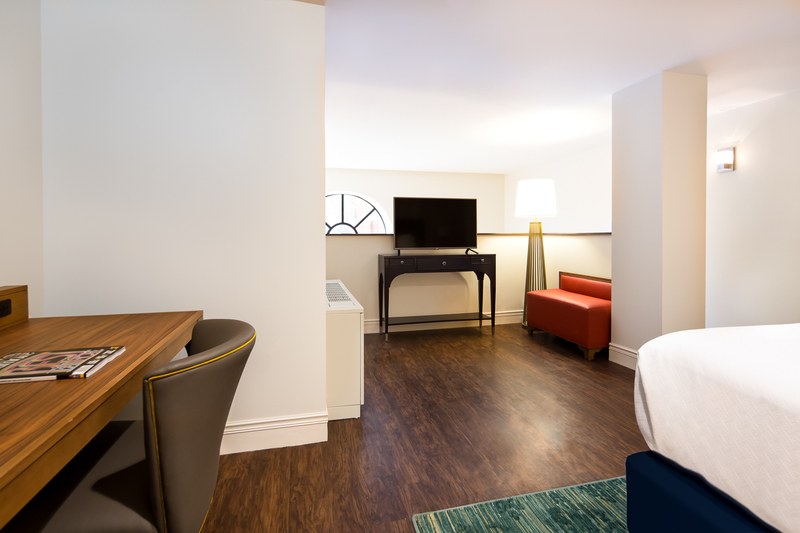 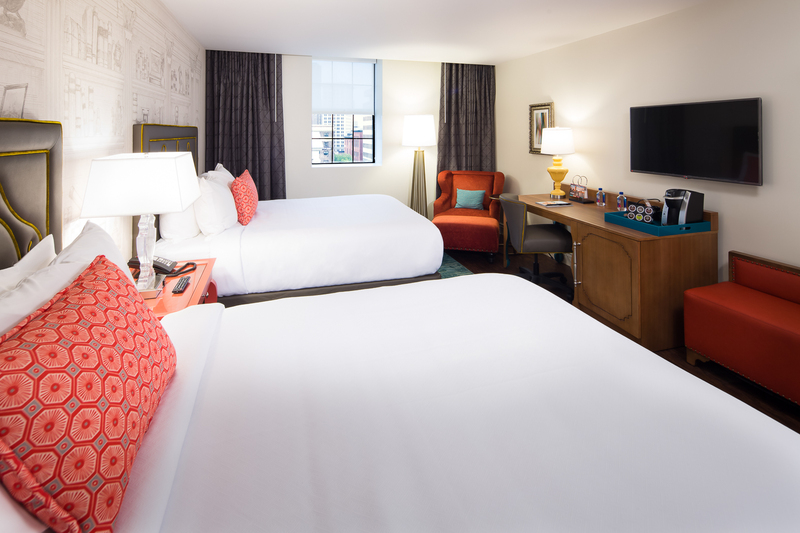 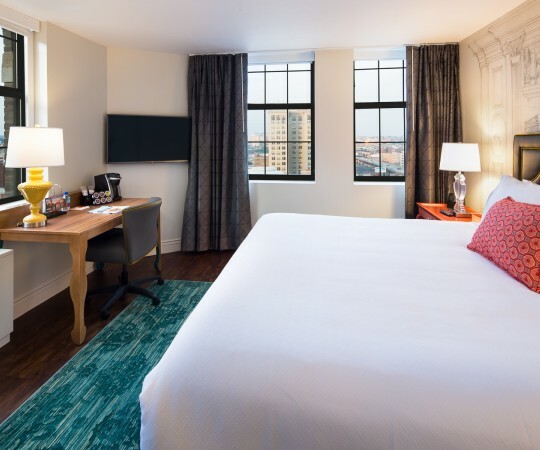 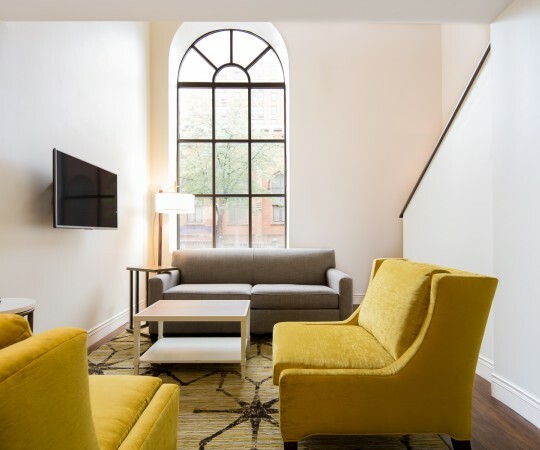 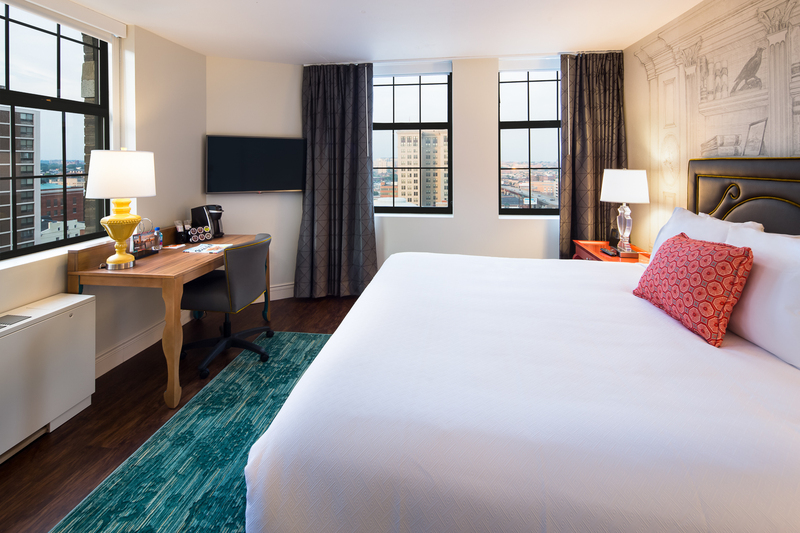 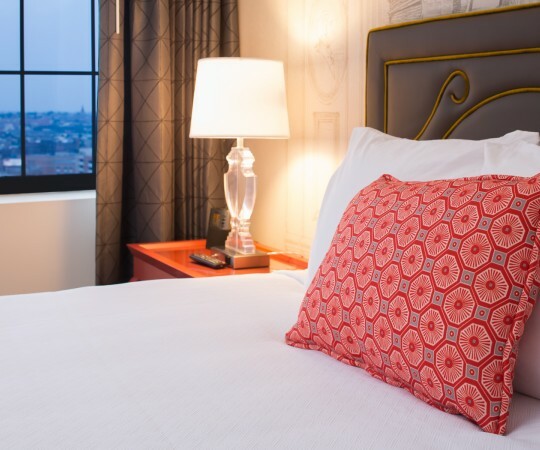 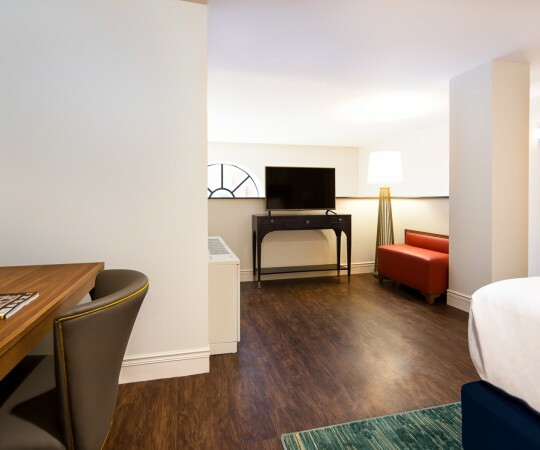 Hotel Indigo Baltimore’s 162 guest rooms and suites blend charming historic details with modern services and amenities. 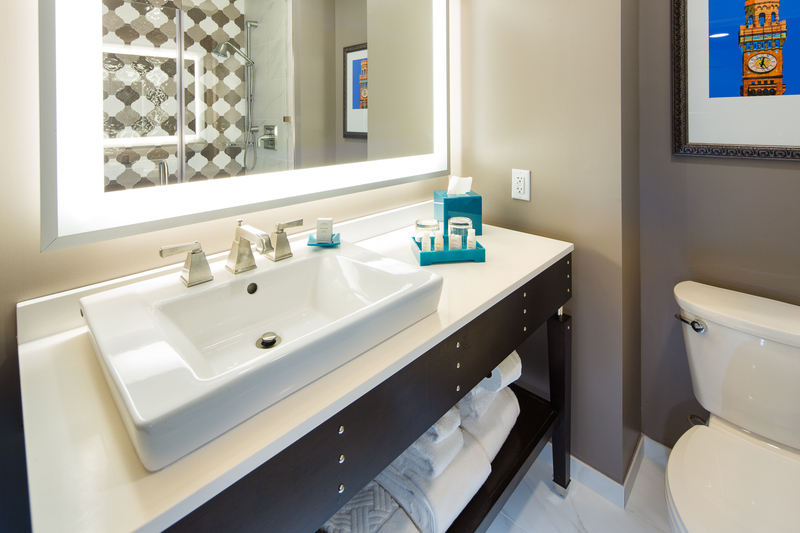 Custom-designed murals, spa-inspired bathrooms and hardwood floors create an atmosphere of urban residential style. 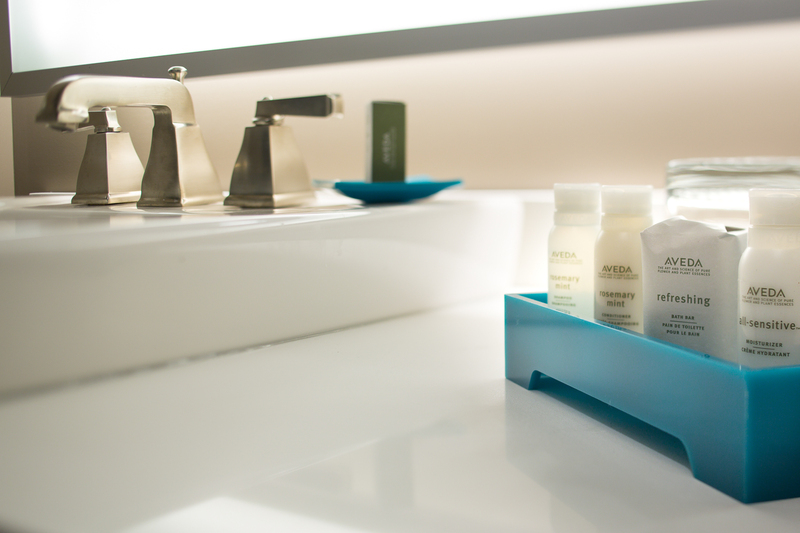 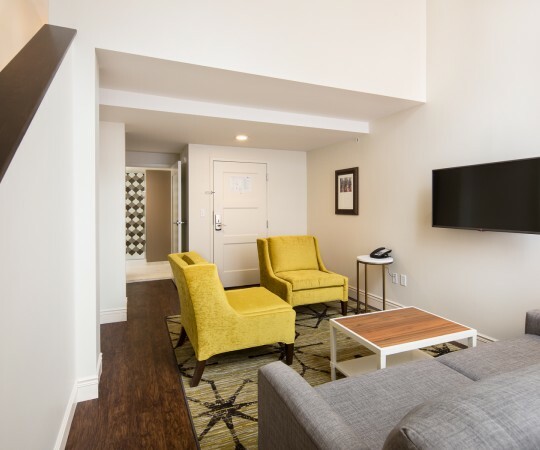 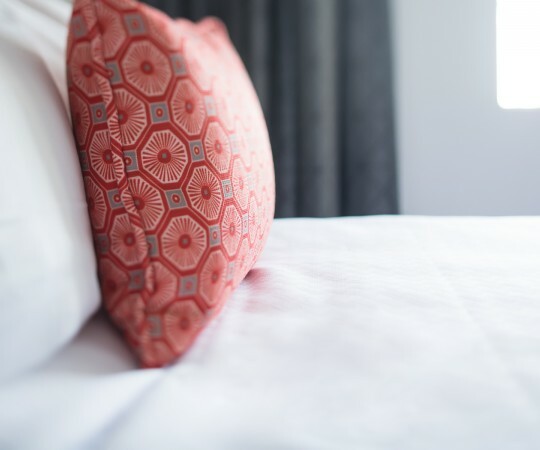 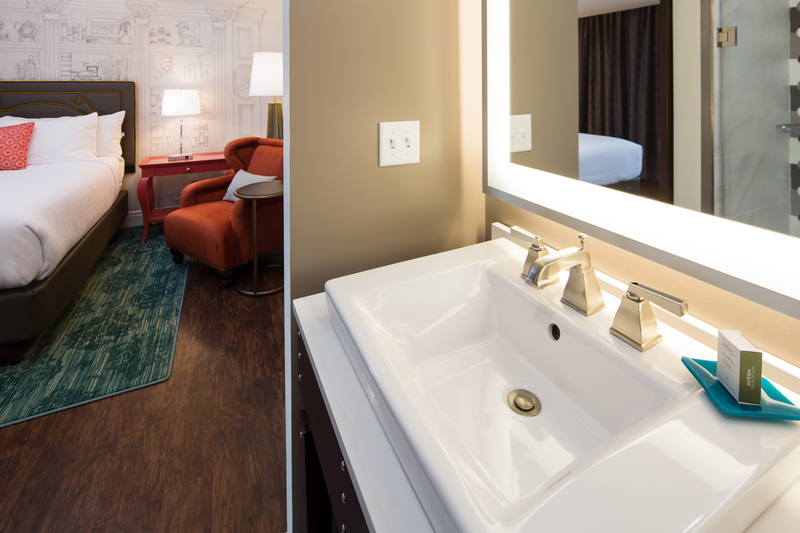 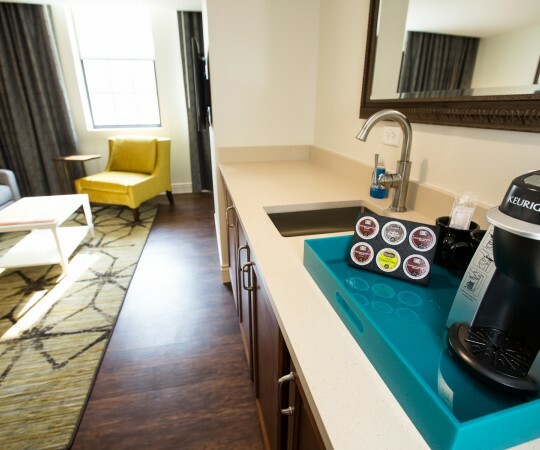 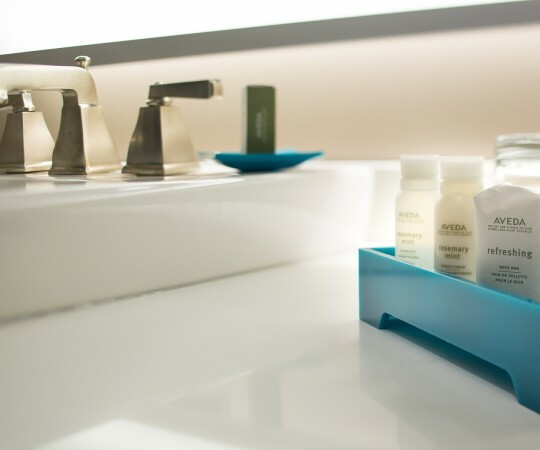 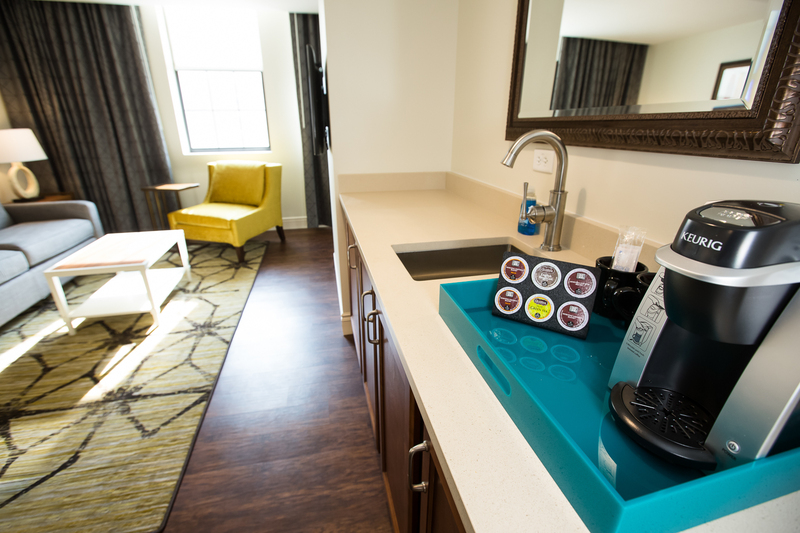 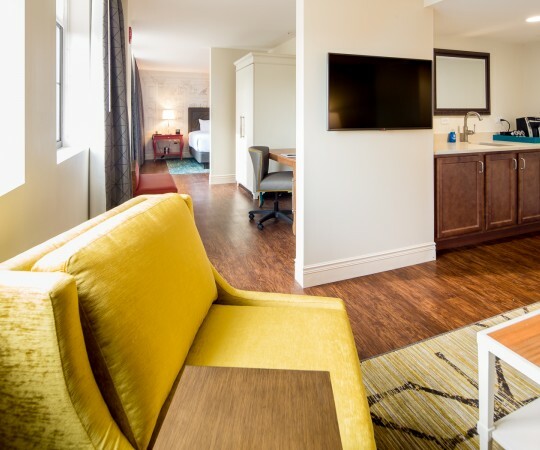 Guests enjoy complimentary WiFi, Aveda bath amenities and creature comforts including mini-refrigerators, coffee makers and pet-friendly guest rooms. 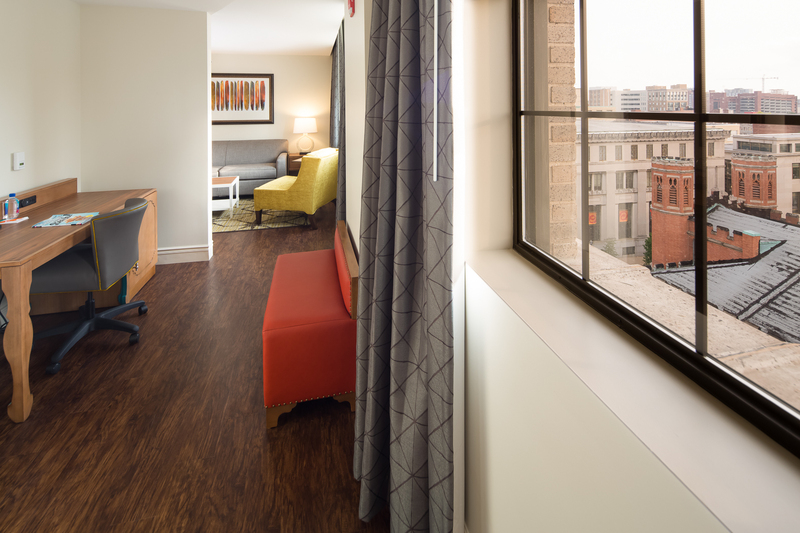 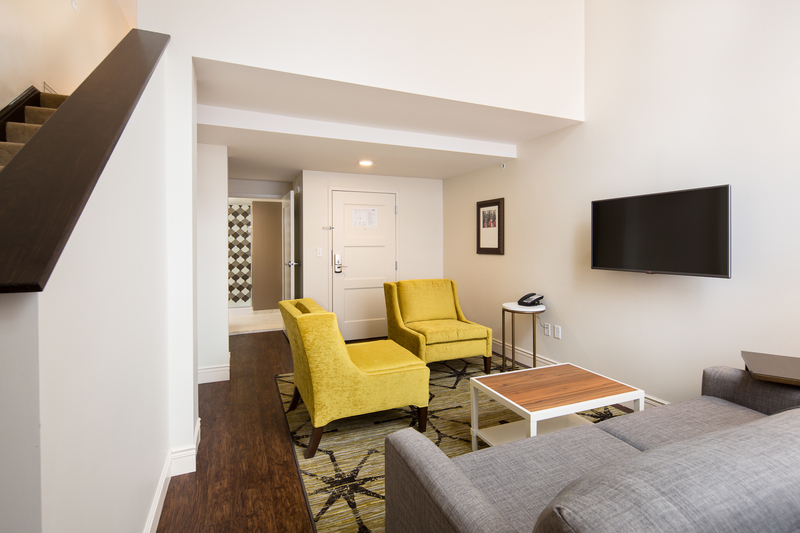 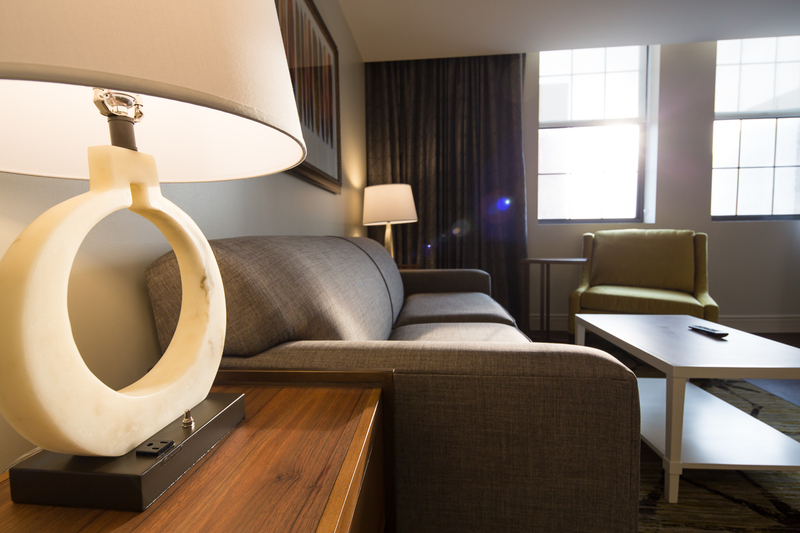 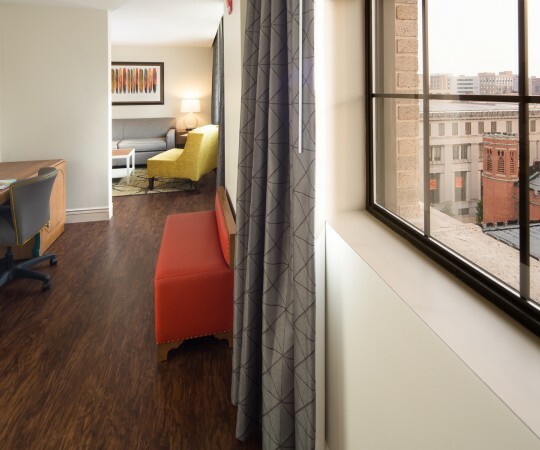 Centrally located, Hotel Indigo Baltimore is an ideal choice for an extended stay in Baltimore. 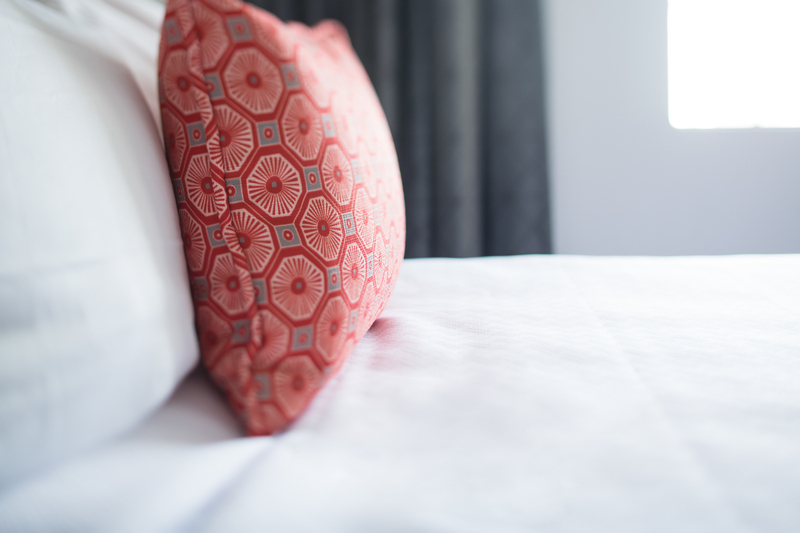 Please inquire about our attractive rates for longterm stays. 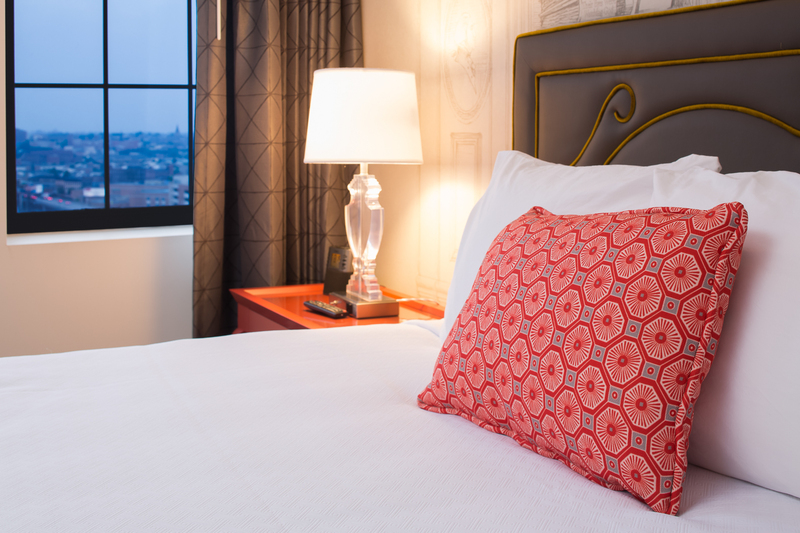 Enjoy restful sleep in one of our comfortable and spacious King guest rooms. 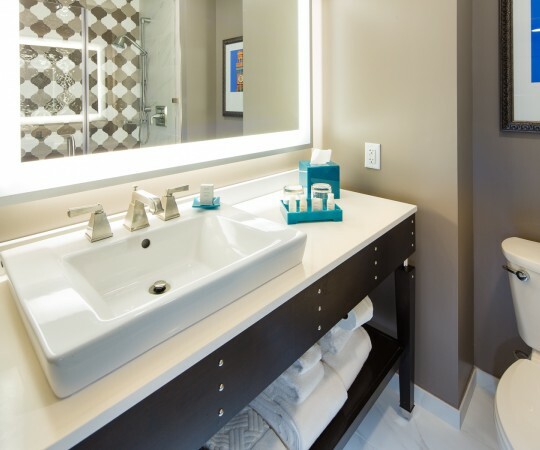 Stylish and contemporary, these light-filled rooms offer stunning city views, mini-refrigerators and spa-like bathrooms with glass walk-in showers and Aveda bath amenities. 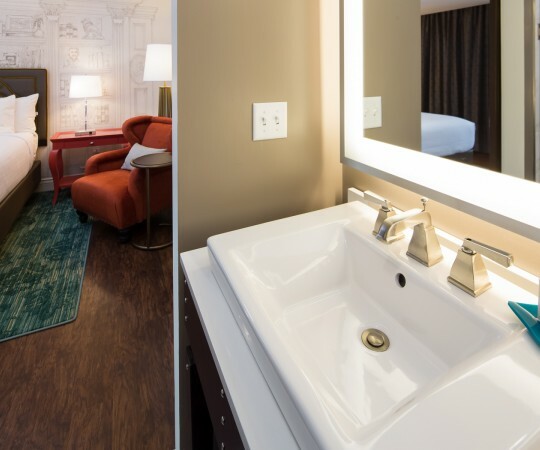 Take comfort to new heights in our accessible King Suites, which feature a living area with wet bar, mini-fridge, wall-mounted flat-screen television, separate sleeping area with king bed and spa-inspired bathrooms with walk-in showers and Aveda bath amenities. 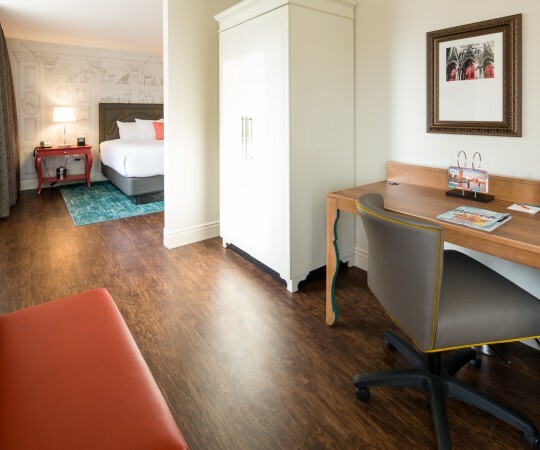 Ideal for families, our Double Queen guest rooms are furnished with two queen beds, a work desk, wall-mounted flat-screen television and spa-style bathroom with walk-in shower and Aveda bath amenities. 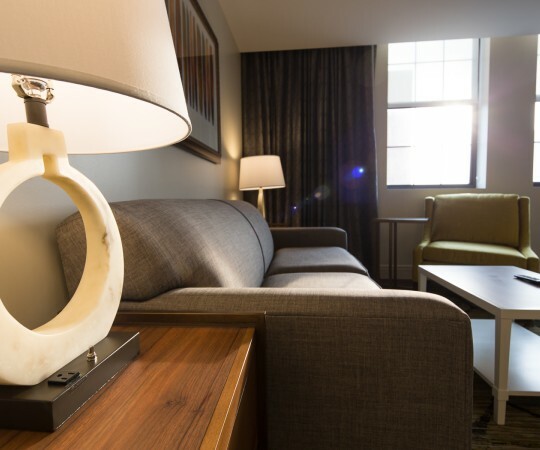 Equally suited for business meetings and bridal parties, our five unique Bi-Level Suites span two levels and feature a living area with wet bar, mini-fridge, wall-mounted flat-screen television, and separate sleeping area with a king bed and work desk.